Michigan was a pioneer in giving families greater ability to save for college tax-free through 529 savings accounts. Federal law now lets Michigan families use their 529 accounts to help pay for elementary and secondary school tuition. Congress approved this expansion through the December 2017 federal Tax Cuts and Jobs Act. Read our press release on what Michigan voters think about tax benefits for spending 529 dollars on K-12 tuition. Follow the links below to find out more information. How do 529 accounts work? 529 accounts are education savings plans operated by a state or educational institution. 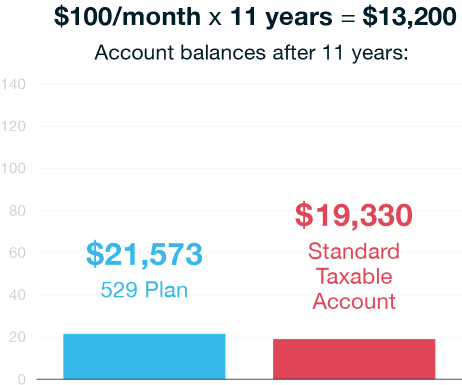 They are named after Section 529 of the U.S. Internal Revenue Code that governs these types of savings plans. Contributions earn money from investments and are able to be used for an individual child’s educational expenses. What tax benefits are available for 529 accounts? All 529 account investment earnings are exempt from state and federal taxes. Withdrawals made for qualified expenses — which now include both K-12 and college education costs — are not penalized by taxes. Michigan law further provides a state tax deduction for contributions made to a Michigan Education Savings Program account, up to $5,000 for individuals and $10,000 for joint filers. The deduction is available for the amount of contributions minus the amount of qualified withdrawals made within a given tax year. This webpage is an informational resource and should not be considered as guidance for tax planning. Please consult a tax professional for tax planning advice related to this topic. What kind of K-12 expenses can 529 dollars now be used for tax-free? Changes made in 2017 to the federal tax code expand the definition of qualified expenses to include "tuition in connection with enrollment or attendance at an elementary or secondary public, private, or religious school." This does not include tuition for pre-kindergarten schools or programs. Legislation currently being considered by Congress would further expand the definition to include homeschool expenses, as well as several types of expenses that could benefit children enrolled in public or private schools: curriculum or online educational materials; tutoring services; AP, SAT, ACT or standardized achievement tests; dual enrollment higher-education programs; or therapies to help students with disabilities or other special learning needs. What about the “Blaine amendment” in Michigan’s Constitution? Article VIII, Section 2 of the Michigan Constitution prohibits the use of public funds or tax credits to support a student’s attendance at a private elementary or secondary school. It remains unclear whether or how Michigan's "Blaine amendment" applies to the various state tax benefits available to Michigan residents who use 529 plans. Michigan's Department of Attorney General declined a request from the governor to issue a binding opinion on the matter. Are separate 529 accounts needed for a child’s K-12 expenses and college expenses? No. Federal law expanded the definition of qualified expense to include tuition for elementary and secondary education. This is in effect for 2018. A single 529 account for each child (considered the “designated beneficiary”) now may be used to pay for either elementary and secondary tuition, higher education expenses or both. Who can set up a 529 account? Any person can set up a 529 account and name an individual child as a beneficiary. Individuals do not need to have set up a 529 account in order to make contributions. Per IRS guidance, anyone can set up a 529 and name anyone as a beneficiary — a relative, a friend, even themselves. Check out the case studies below to see sample scenarios that show how a 529 plan may benefit a family like yours. Are there any limits on 529 accounts? There is no limit on 529 withdrawals to pay for higher education, but federal law limits withdrawals for elementary and secondary education expenses to $10,000 per year. 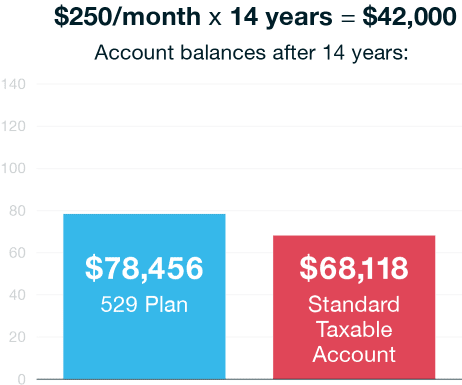 Different 529 plans have maximum allowable account balances. For example, the MESP limits the amount to $500,000. Below are three sample scenarios of how Michigan residents saving in a 529 plan might make dollars available for various education expenses. These case studies are designed using the standard assumptions from the 529 Plan Calculator. Contributions made to an MESP plan would further be eligible for Michigan state income tax deductions. Parents start saving in a 529 plan at their child’s birth, contributing $250/month for 14 years (equaling $42,000). 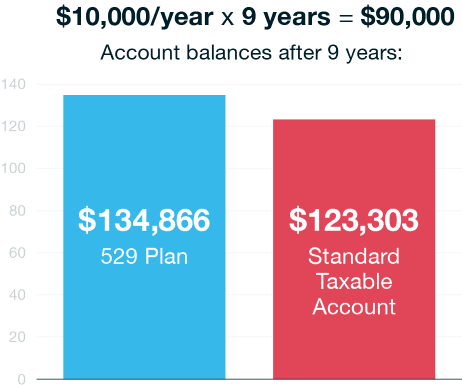 The tax-deferred growth in the 529 plan’s earnings means $10,000 more of their own funds are available than if they had invested in a standard taxable account. They decide to enroll their child in a private high school. Enough money is there to pay up to $10,000 for each year’s tuition, with remaining plan dollars free to help pay for higher education. Grandparents open a 529 account for their newborn grandchild, contributing $10,000 each year for the maximum MESP deduction. Nine years later parents decide to put their child in private school for 4th and 5th grade. Far more than enough money is available to completely cover two years of tuition tax-free, with extra dollars able to be used for college expenses. A neighbor and family friend starts contributing $100 per month to a 529 plan when the child enters elementary school. By 11th grade, when the child opts for private education, the family has enough funds to pay $10,000 toward tuition for each of the last two years of high school. If the family decides against private school, the money is still available tax-free to help cover costs at community college, university or trade school. Have any questions? Feel free to email us at Michigan529@Mackinac.org and we’ll help you out however we can! Want to follow education stories?